Description: This volume situates a critical discourse on the molecular data–cloud and aesthetics within contemporary experiences of art and society. It reflects varied perceptions and current thinking by artists, curators, scientists, and theorists in comprehending the appropriation and colonization of the cloud. The cloud can be seen as a veiling of information, where it becomes clouded, foggy, fuzzy, obscure, or secretive as well as a (re)distribution of data when it condenses, blooms, and accretes into aesthetic, socio-political, technological, and scientific atmospheric contexts. Reference this volume: Aceti, Lanfranco, Paul Thomas, and Edward Colless, eds. Cloud and Molecular Aesthetics. Cambridge, MA: LEA / MIT Press, 2017. Acknowledgments: The Leonardo Electronic Almanac is a collaborative effort supported by MIT Press, Leonardo/ISAST, Goldsmiths, KHM, New York University (Steinhardt School of Culture, Education and Human Development), OCR (Operational and Curatorial Research), and CAC (Contemporary Arts and Cultures) at MIT. Cloud and Molecular Aesthetics via a collection of essays reflects upon the relationship between the small and the very large. Offering varied perspectives and conceptual approaches, this carefully curated collection analyzes the complexity of contemporary society specific to aesthetic endeavors which use scientific and digital frameworks as a means of relevant expression and critical examination. This volume inspired by aesthetic, intellectual paradigms, and scientific interpretations of the words ‘cloud’ and ‘molecular’ presents conceptualizations which are not solely related and restricted to scientific and aesthetic endeavors but also to a socio-political understanding of reality and its visual representation. Telepathy is emerging as a significant paradigm of artistic practice at the interface of art and science, with telepathy operating in transferences of media, tele-technologies, and ‘techlepathies,’ as well as in social and psychological aspects of collaboration and interaction. Design researcher Usman Haque and artists Gianni Motti and Marina Abramović work with telepathic and telekinetic possibilities that arise at this intersection of art and science, as does artist, theorist, and cognitive scientist Warren Neidich. This paper will explore the telepathy of Motti, Abramović, and Haque through their artistic work with brain synchronicity and electroencephalogram (EEG) interaction, telemetrics, crowd empathy, media clouds, electromagnetism, and quantum physics. Their work is further understood through the prism of current philosophical theories, especially speculative aesthetics that engage the telepathy and telekinesis of quantum physics, as well as Marxist ‘Operaist’ or ‘workerist’ theories of immaterial labor and cognitive capitalism that engage with the ‘action at a distance’ concept of social theory. Further, speculative and cognitive materialisms are shown to intersect, perhaps paradoxically, through engagement with the aesthetics of telepathic and telekinetic immateriality. The aesthetics of this art and theory converge at the telepathy of quantum neurodynamics, which is aligned with, and yet displaces, cognitive intuition in Immanuel Kant’s Transcendental Aesthetics. At the Istanbul biennial in 2011, Israeli artist Dani Gal’s Historical Records Archive (2005 – present) installation blew our minds. Here was a collection of real LP albums of significant twentieth century historical events, speeches, and political debates. But it was also an archive in which the actual records were deliberately absent, foregrounding the planar cover art as information about something elusive and leaving visitors with the speculative task of imagining how they might or could sound. But in its own uncanny, quantum way, it echoed our work in Classical Gas project (2011 – present) in its transformation of classical album covers from the “easy listening” tradition of popular music into canonical texts from the history of ideas. What follows, then, is a series of probes that explore a form of molecular semiotics that we perform to suggest uncanny epiphanies that can occur when, for instance, a Shirley Bassey album becomes An Ethics of Sexual Difference by Luce Irigaray  or Music in the Morgan Manner segues into a fighting title by Roseanne Allucquere Stone. Drawing on Marcel Duchamp’s readymade concept of infra-mince, or infrathin, as well as Gregory Bateson’s informatic “difference that makes a difference,” our ongoing Classical Gasproject freeze-frames this poetic moment of transformation from one semiotic state to another. As in physics or digital vectors of information exchange, the fine and elusive epiphany of transformation is always in the eye of the beholder. Art isn’t necessarily about what you see, but what it prompts you to see. While the creation of lifelike appearances has been an ever-recurring historical feature in art, contemporary artists who employ biotechnology are particularly ‘close to life,’ and the new discipline of synthetic biology is well-suited to upgrade art historical paradigms of ‘creation.’ In conjunction, the democratization of lab tools leads to their appropriation by tinkerers and tactical media activists who apply the potential of open-source culture from the digital age of media art to do-it-yourself (DIY) biology and biohacking. Hereby, the formerly distinct features of the technologization of the animate and the animation of the technological merge in an unprecedented way, both technically and metaphorically. This paper discusses media adequacy—the aesthetically and epistemologically convincing implementation of the instances of mediation of living entities or beings with regards to the corresponding appropriate materials and strategies—in the light of the trendy discipline of synthetic biology. This discipline aims at designing living systems from scratch, and is emerging at a time when DIY biology seems set to be the next pop-culture phenomenon. Art is increasingly linked to knowledge production and dissemination within a larger scope of what can be called an epistemological turn, in which cultural practitioners do not so much translate and transform what we know, but rather question how we know what we know. This article considers the paradoxes of visualizing the networked image in the contexts of data mining and social media networks. In particular, it presents Grace Kingston’s project Here You Are as critically engaged with and participating in these data mining practices, along with the common social networking practices of check-ins and selfies, in order to emphasize social network users as bodies of data. This is situated within a larger context of global network surveillance and data extraction, which aim to visualize these highly visible, everyday activities as they are implicated in invisible circuits of data mining and control that extend well beyond the users’ self-perceptions and agency. As such, the project and the article aim to illuminate the noisy penumbra of the data clouds surrounding these practices in order to reveal this opaque circulation conducted in and through social networks. We present this paper as a dialogue, as this is intrinsic to its composition. This essay begins with Natalie Jeremijenko’s Cross(x)Species Adventure Club, a series of supper-club meals addressing specific ecological topics including oil spills and multispecies encounter. I read this work alongside histories of molecular gastronomy and evolving theories of the human microbiome to analyze how figuring and imaging science moves from the dinner plate through the digestive system. For Jeremijenko, molecular gastronomy allows for an interventionist environmentalism that may be scaled up to create new wetland environments to better ‘digest’ oil spills. Digestion becomes a way of figuring the landscape and encountering animals, plants, and environmental systems, with molecular gastronomy techniques providing metaphoric and literal frameworks for imagining how bodies and landscapes interrelate. Attention to the visual cultures of the very small often employs language that evokes the very large, with individual human microbiomes described as ‘islands’ and figured as ‘territory’ to be explored. Rather than taking a territorial or colonial approach to the human microbiome, I would suggest that the cloud and metaphors of atmospheric shift, drift, and blooming open up a field of action and intervention where plants and animals converge in our understanding of how our bodies cooperate with a changing population of bacteria, viruses, and fungi. This essay describes a digital media artwork that utilizes computer vision and generative digital effects to capture the immaterial character of crowd dynamics in public spaces. The process allows for the emergence of a double-layered audiovisual impression of population movement through the city, and includes: (1) a series of short videos shot at various urban spaces and digitally manipulated in real time to register the flow of pedestrians, and (2) a gallery exhibition of the collective footage collated as an interactive movie strip. The outcome of an art and science residency, the artwork refashions surveillance media, video art, and painting by offering traces of pedestrians’ daily walking activities in public spaces, re-rendered artistically in real time. By doing so, it proposes a new idiom for the visualization of patterns of human movement in the digitally augmented city. In isolation, each movie offers a high level of transparent immediacy, positioning the audience at the center of the space, albeit hidden behind the camera’s window frame. At the gallery, however, the collective footage attains a high degree of ‘hypermediacy,’ simultaneously highlighting the hedonic character of the interactive medium itself while offering a critique of the surveillance practices that are increasingly common in contemporary society. In the mid-1960s, an alcoholic, chain-smoking bellhop from Chicago found himself at the center of a psychic cyclone. Ted Serios could produce images on Polaroid film just by projecting his thoughts into the lens of the camera. Serios was an overnight sensation, and his unique abilities were the subject of worldwide attention. Famous prestidigitators, such as James Randi aka the Amazing Randi, endeavored to prove that Serios was—of course—a fake, and that the scientists who were studying Serios were gullible saps. The Amazing Randi even claimed to have produced ‘thoughtographs’ through simple stage tricks and misdirection, thus demonstrating that Serios was a charlatan. In fact, he accomplished no such thing. However, the popular press, tired of the hard-drinking Serios and his strange abilities, accepted the Amazing Randi’s claims and Serios quickly disappeared from public consciousness. Yet Serios continued to produce his puzzling, fantastical images under strictly controlled scientific conditions, and the fact remains that we have no ‘natural’ explanation for them—at least, no natural explanation that relies on a strictly materialist mode of explanation. To assist in the exploration of the post-material psychodynamics of Serios’s unsettling oeuvre, this paper calls upon a series of images to remediate the fractious geometry of Serios, his ‘thoughtography,’ and the ‘real.’ These images are found in Robert Fludd’s magnum opus of 1617, Utriusque Cosmi Maioris scilicet et Minoris Metaphysica, Physica Atque Technica Historia (History of the Macrocosm), and offer a hermetically unsealed disquisition emerging from the very first image, The Great Darkness. Neuroaesthetics represents a new field that is currently being evaluated for its scope and purpose by both clinicians and artists. There is significant debate regarding the actual definition of this field and its relationships not only with medicine and art, but also with the philosophy of culture and religion. This paper will explain the close relationship between neuroaesthetics and the activation and processing that occur in certain parts of the brain, which can be quantified by radiological methods. It will also describe the relationship between brain damage (resulting from, for example, stroke, migraine, and neurodegeneration) and visual art production. The current understanding of the expanded image is based on visual experiences provided by information turbulence in contemporary convergent media. We are therefore challenged to rethink everything we have come to understand about visuality, including the very physics of light and the physiology of the human eye. 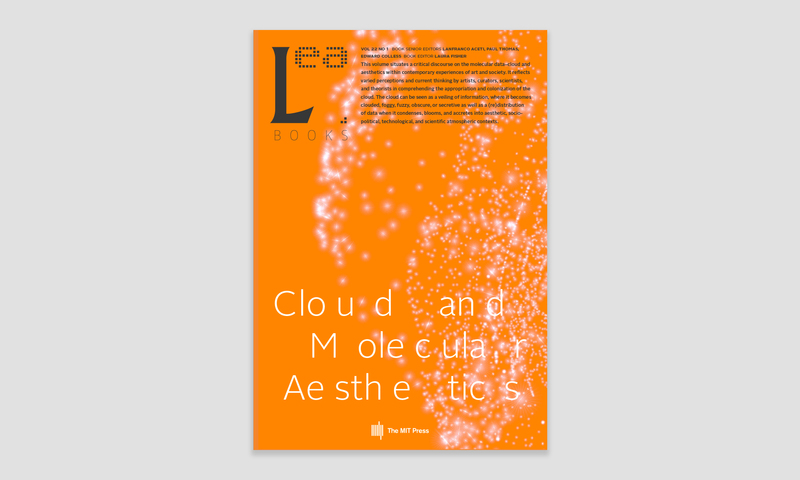 The essay proposes that the aesthetic model of cloud as metaphor for online services should be reconsidered in the context of the experiential qualities of services and products that are connected to cloud services. Given that every online service requires a business model in order to sustain its presence and the services that are connected to it, the author considers how network-based experiences are better thought of as markets. In particular, this essay explores the role of artifacts that are connected to cloud services and exchange data within complex and invisible value systems. The cloud is hard to pinpoint. In its very nature and in all its manifestations it is nebulous, continually shifting, changing, and evolving. Periodically obsessed over by the arts, the idea of the cloud has inspired works by well-known artists and musicians including Claude Debussy, John Constable, and Alfred Stieglitz.